National Commission for Backward Classes (Repeal) Bill, 2017 is passed by Rajya Sabha. This Amendment Bill is to repeal the National Commission for Backward Classes Act, 1993 as passed by the Lok Sabha. 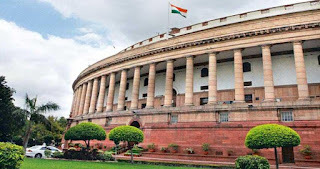 The Bill was passed by the Rajya Sabha with an Amendment (without clause-3) at its sitting held on 31st July, 2017 and transmitted to the Lok Sabha for its concurrence. The Lok Sabha passed the Bill with alternate amendments and further amendments at its sitting held on 2nd August, 2018.